Chattanooga and surrounding areas will soon be able to enjoy Guthrie’s fresh, hot, fast, golden fried chicken fingers. Guthrie’s newest To-Go location is set to open on Tuesday, Aug. 16, and will be at 5203 Brainerd Road. This To-­Go location will offer the complete Guthrie’s menu including The Guthrie’s Box, The Bucket, The Sandwich, the famous Sweet Tea and, of course, the Signature Sauce in a drive­-thru­-style restaurant. 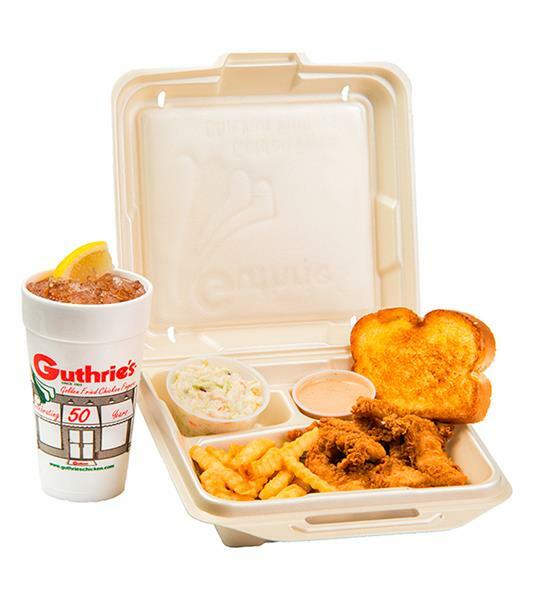 Guthrie’s new location at 5203 Brainerd Road in East Brainerd will be open Monday through Saturday from 10:30 a.m. until 9 p.m. and Sunday from 11 a.m. until 9 p.m. Guthrie’s unique blend of Golden Fried Chicken Fingers, crispy crinkle cut fries, buttery Texas toast, creamy coleslaw and Signature Sauce has seen its share of copycats, but Guthrie’s is the original chicken finger specialist. “Hal Guthrie gave us all something very special and uniquely good when, now over 50 years ago, he gifted a hungry public with his golden fried chicken fingers,” said store owner Will Garrett. “Each time we open a new store, it is our pleasure to pass along and share the great taste of Guthrie’s.” Garrett also owns Guthrie’s restaurants in Trenton and Ringgold. 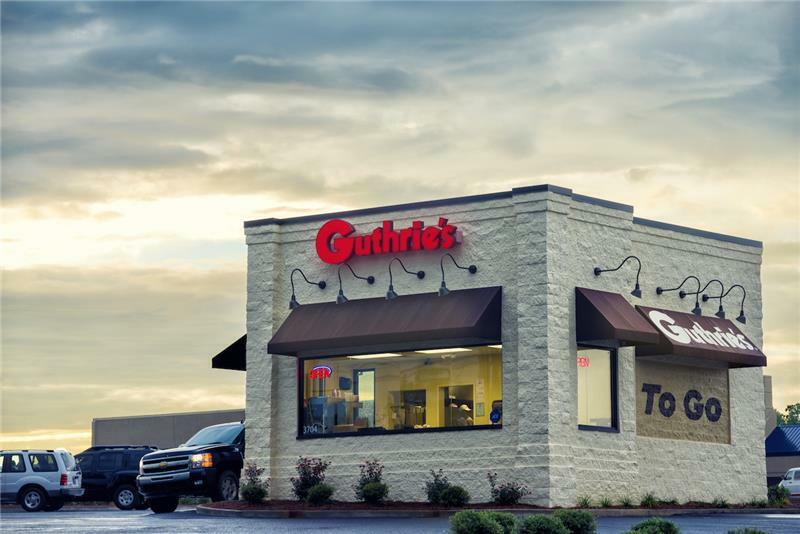 Guthrie’s celebrated 50 years of tradition in 2015, and the restaurant chain continues to grow. This spring, Guthrie’s was voted Alabama’s Best Restaurant Chain by al.com readers. Guthrie’s operates locations throughout Alabama, Florida, Georgia, Kentucky, Ohio and Tennessee and is quickly expanding across the country.